Japanese Baked Cheese Tart Hype! You know how Japanese baked cheese tart is the hype now. Being a cheese lover, how could I not try it? In the previous post, Just a Day Out, I have tried my first Japanese baked cheese tart. 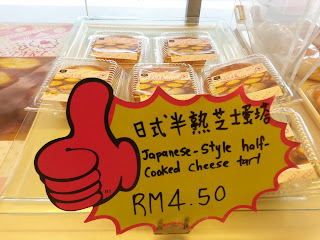 And now, I came across another 2 Japanese baked cheese tarts which I did not hesitate to buy it, despite my tight budget. So, let's not drag on and start now. I believed the shop owner caught on to this hype and released this new "member". It boasts as its best seller. Compared to the Hokkaido baked cheese tart, this is considerably cheaper. The appearance of this tart, I would say not as attractive as the one I have tried. The crust crumbles very easily and therefore I decided to use a spoon instead. Hey, just like I promise in the previous post. A post right after my first semester's result was out yesterday!!! The result was supposed to release at 7.00pm (12pm in UK). Due to technical problem, I was not able to know my marks until 12 am in the morning. However, I do know whether I passed or failed my test as they have a list on the ICAEW's website. Well, that's what matter the most. As per my lecturer, it doesn't matter what marks you get. If you got more than 55 marks, it is just a bonus, you are putting too much effort in it, unless you got the World's price. That's a different thing. (Well, this is to be taken as a joke, so that we are not too stress about it). 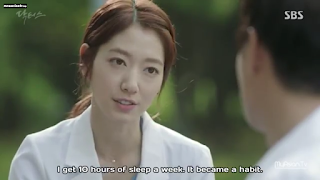 Since I am totally not aiming for that but just to do the best I could in the examination, I just need a pass. Nothing more, nothing less. As soon as I got back home, I immediately went to check my result by scrolling through the hundreds of names to find my name. Guess what I got? Hello!!! Selamat Hari Raya Aidilfitri to all Muslims and Happy Holidays to the non-muslim.